Police have arrested two men after a cannabis farm was found in Legoland. Almost 50 weed plants were found by workers searching for asbestos at the Windsor park. They found a cannabis farm, complete with lights and watering equipment. Sadly, there were no tiny little Lego guards to threaten the workers into silence, and they immediately reported it to the police. This is what they would have looked like though. Wouldn't that have been great? 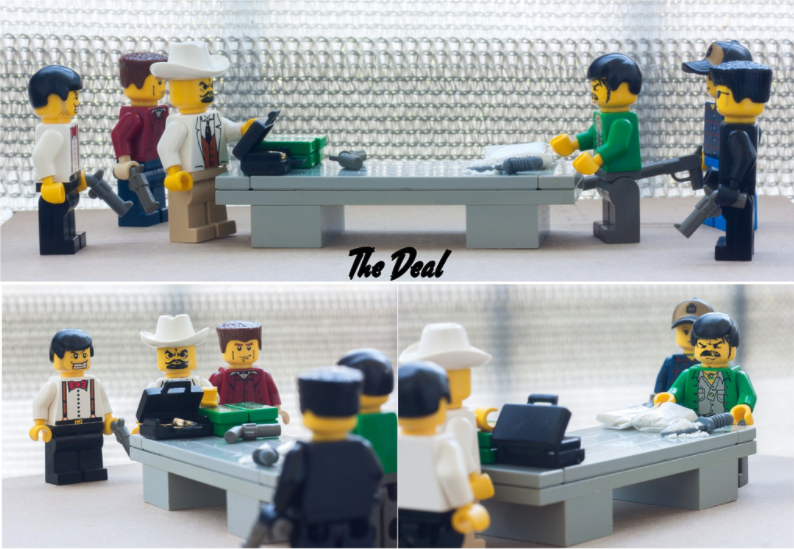 Tiny little lego men all running around doing drug deals? The two men arrested (not pictured above) have been bailed until the 28th of February. The weed farm was found within the 215-acre Legoland estate, in a derelict property previously thought to be empty. Police searched the area and closed off the building after the asbestos-hunters found the 3ft high cannabis plants. 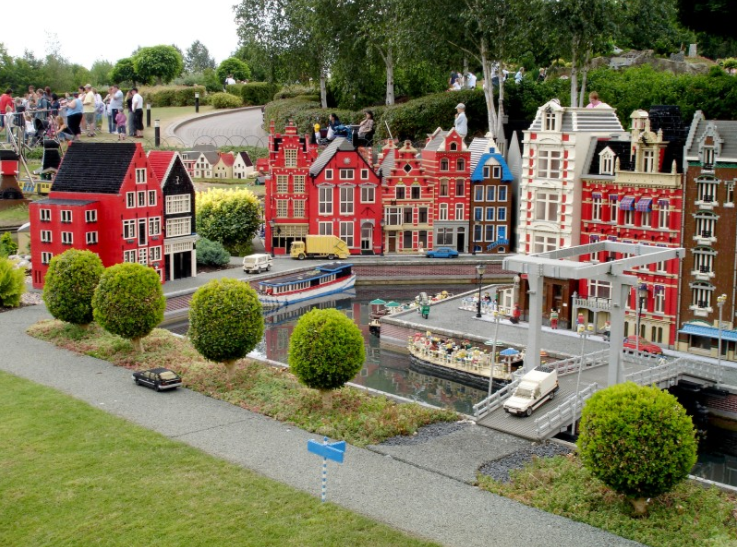 Legoland bosses believe that the farm, which is close to where visitors leave their pets, is inaccessible to the public, and "appears to have been accessed via the Crown Estate". Land which belongs to the Queen. The alleged drug-dealers were apparently ballsy enough to create a weed farm on the Queen's land, in the middle of Legoland, but not quite ballsy enough to set it up inside the tiny New Amsterdam exhibit. 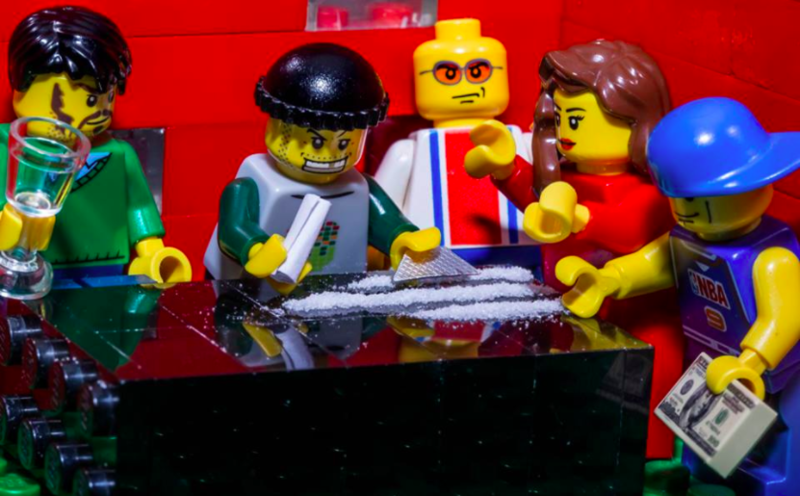 "Thames Valley Police officers were called at about 11.15am today following reports that cannabis had been found at a property in the Legoland grounds in Windsor." "Officers are currently at the site where cannabis plants and equipment used in the production of cannabis has been located." "A 40-year-old man from Windsor and a 34-year-old man from Burnham have been arrested on suspicion of producing a class B drug (cannabis)." "They have been bailed until 28 February." 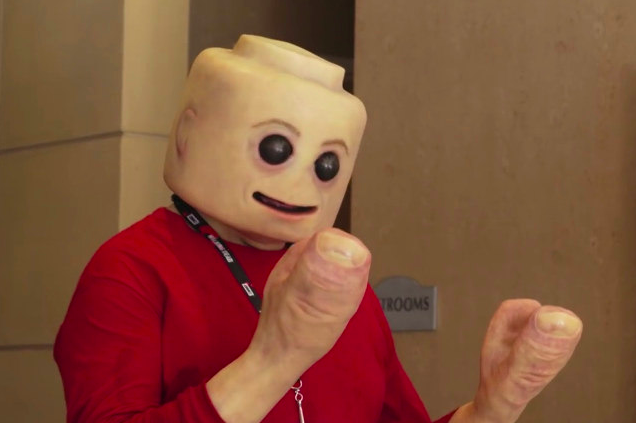 Below is a drugged up real-life lego man, gazing in wonder at his hands.